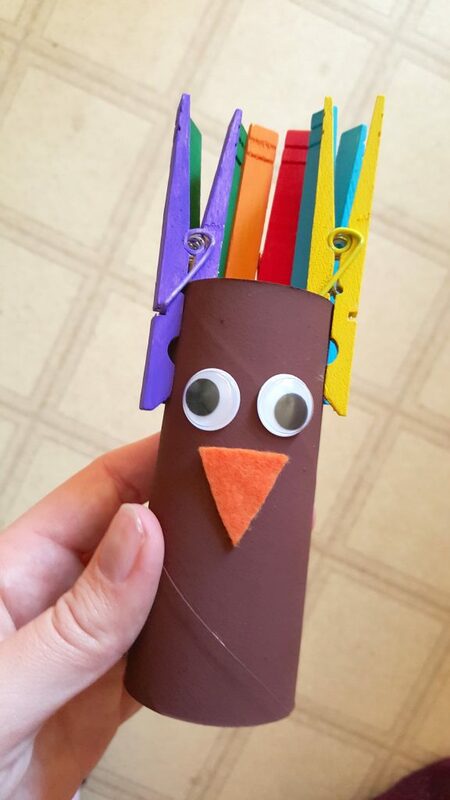 It’s funny how ADORABLE these preschool turkey crafts are this time of year when turkeys, well, they just aren’t that cute! 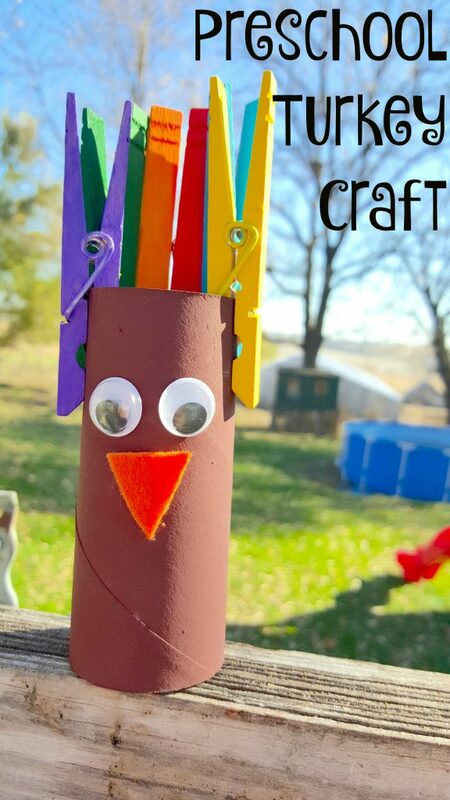 I LOVE toilet paper tube crafts so it only made sense to turn one into a turkey! If you’re a teacher and concerned about the cleanliness of where your recycled TP Tubes are coming from collect paper towel rolls and cut them in half. 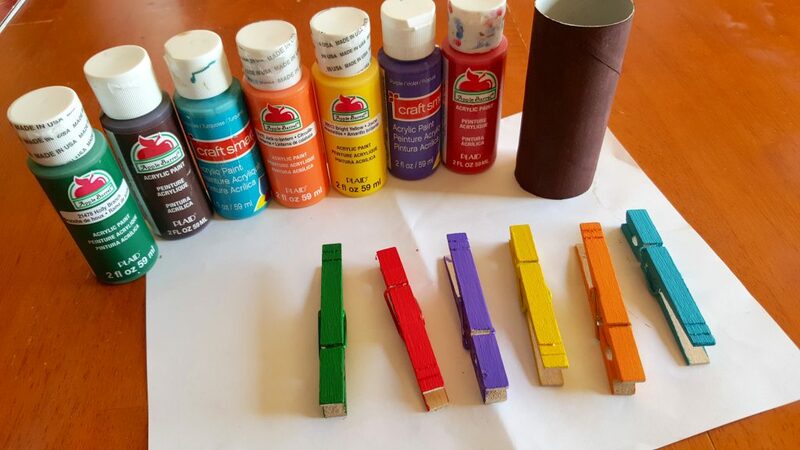 You’ll need 4-6 clothespins per turkey, 1 toilet paper tube roll, 2 googly eyes, 1 orange triangle (felt or construction paper), glue, and a paintbrush with paints or markers depending on the age group you are working with and the mess involved. To make my “feathers” brightly colored I recommend acrylics or markers. 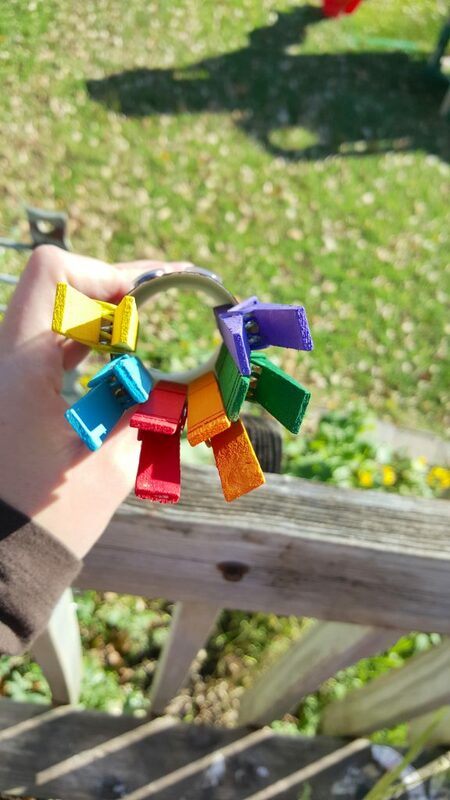 Paint or color each clothespin a different color. 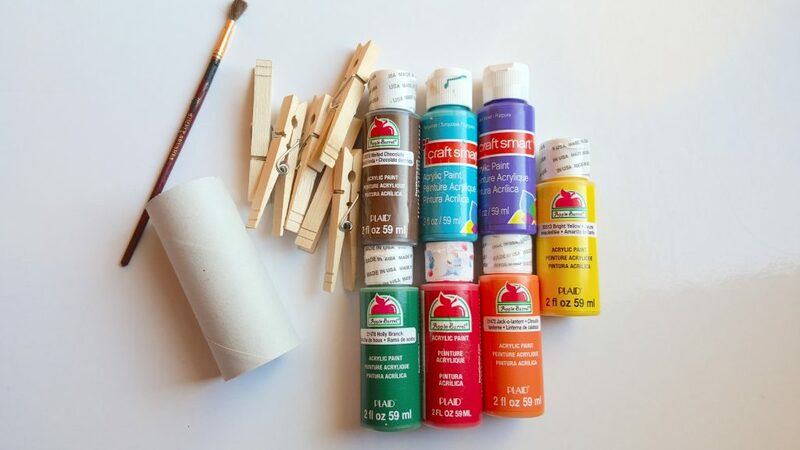 Try to cover all of the wood color taking the clothespin apart if you have a smaller group (since you’ll need the time to put them all back together again!). Paint (or color) the TP tube brown! 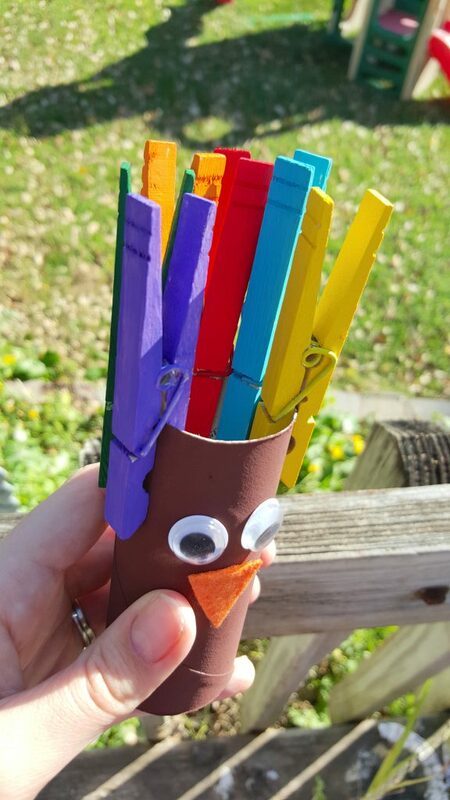 Have the kids clip their clothespins onto the top of the “turkey” once the paint has dried. Glue on your googly eyes and orange “beak” triangle! When working with little ones Glue Dots are awesome to use because they work well and don’t leave a sticky mess!